Yalitza Aparicio's style game has been on point, surprisingly since this is her first awards season. The 'Roma' beauty attended the 30th Annual Producers Guild Awards last night(January 19th) at The Beverly Hilton Hotel in Beverly Hills, CA. 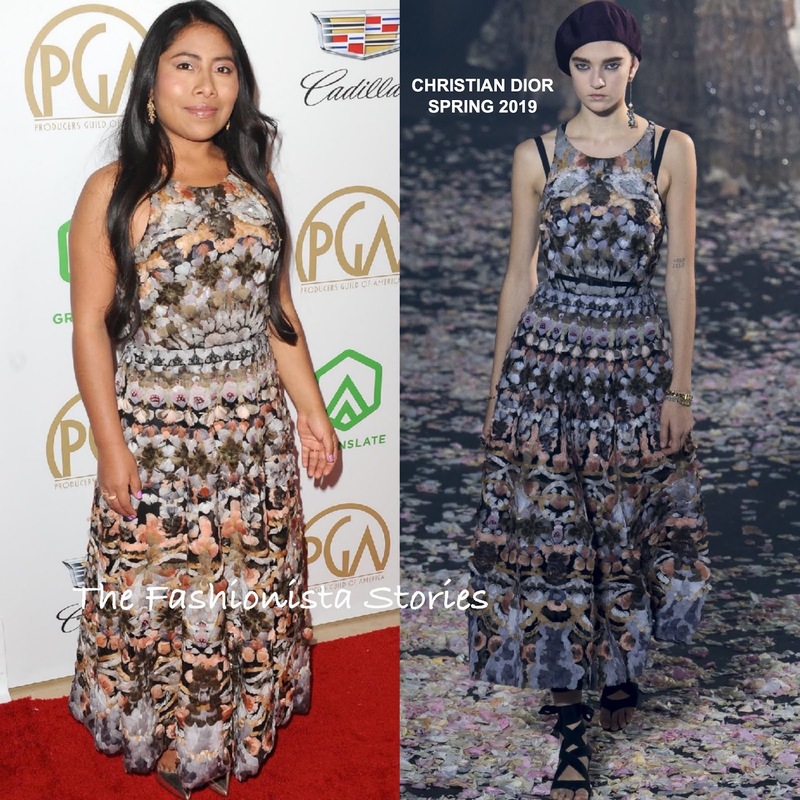 Turing to CHRISTIAN DIOR, she wore a sleeveless SPRING 2019 feather floral frock, featuring a pleated skirt. Yalitza looked lovely in this frock and I think this file's under her many great looks so far. Instead of wearing of wearing sandals, she opted for gold SERGIO ROSSI pumps, which topped off her look along with ANITA KO jewelry, a glossy lip and side parted tresses.